Facilitated by Tracing the Pathway, Performing the Archive: body-memory-site-encounter was a weekend workshop where we explored the notion of the archive as a performing and performative site. Challenging how an archive is conceived and how it evolves through memory, imagination and encounters, we accessed public spaces and hidden ruins to look at the connection between our personal experiences and the public spaces we traverse, as potential archives. The workshop invited 15 participants to engage in an open dialogue and exploration of the concepts of body, site and archive, practically investigating how these might function within a performative context. We started by exploring memory, do we choose what remains of the past? How do we create our memories and what sets a memory in motion? We shared a vivid memory with a partner and it was interesting to see, through encounter, what they then remembered from the telling. Later, we broke off into groups and explored the city. We found a hidden garden, a palimpsest of history that was choosing to remain aloof but we were lucky enough to encounter someone who told us the history of the space, which then opened up a whole performance content. Hidden in the middle of a busy urban setting the reclamation of nature was producing a haven for birds and birdsong, creating a natural audio score, that felt at odds with its place within the city map. 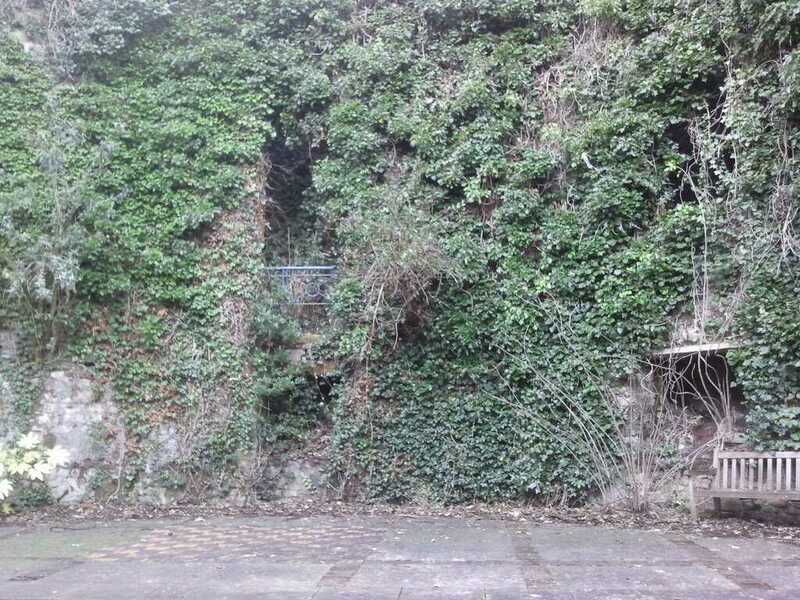 Our hidden garden was originally a horse bazaar, the horses were paraded on the ground and the potential buyers would stand on the first level and look down through the archways that are now being taken over by ivy and buddleia. Interestingly our installation/performance re created the audio score of the different animal noises more than a literal or realistic performance. Things I will take away with me; I will certainly use the ‘silent walk’, it was noticeable that if talking is prohibited you will observe far more in your journey then you would otherwise think. Another useful provocation that I will use again was to take an object from the site your journey takes you to and to ask what that conjures up away from its original space, this may tend to take you on a trajectory away from the meaning or memory of the original site but it’s also an interesting path to take for what it opens up for you, creatively. This entry was posted in Hidden CIty, Performances, Uncategorized and tagged hidden garden, horse bazaar, performing the archive, Tracing the Pathway on February 5, 2013 by Ruth.